Abraham Altman, 85, of East Lake Road died Friday at Crouse Hospital. Born in Troy, he lived in the Syracuse area 55 years. 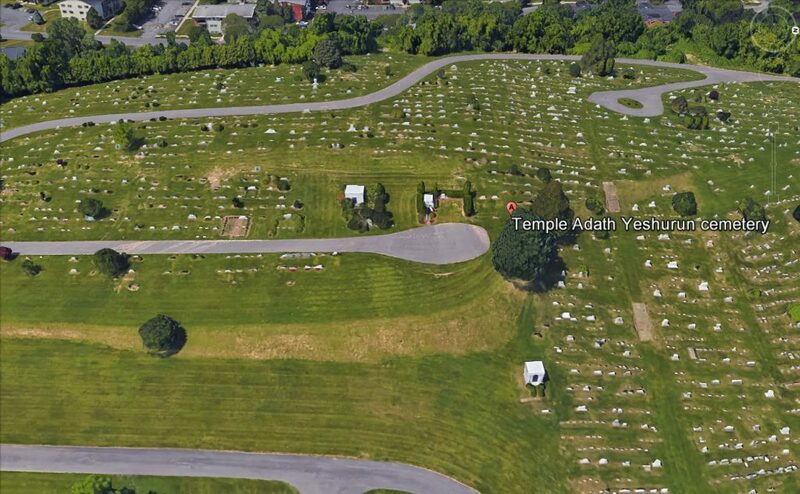 He was a 1933 graduate of Rensselaer Polytechnic Institute. Mr. Altman was owner and president of East Syracuse Chevrolet until his retirement in 1983. He was a member of Temple Adath Yeshurun and an honorary trustee of its board of directors. He was also a member of Temple Beth El and the Kiwanis Club of Eastwood. He served on the board of directors for the Girl Scouts of Central New York, Meals on Wheels, the Cerebral Palsy Foundation and the United Jewish Appeal. Mr. Altman was a mediator for the Better Business Bureau and a volunteer with Crouse Hospital since 1983. He was a veteran of World War II, serving as a major in the 43rd Infantry Division. Surviving are his wife, Anita; a son, Stephen of Washington, D.C.; a daughter, Elisabeth Altman of Massachusetts; two brothers, Joseph of California, and Henry of Schenectady; four grandchildren; and several nieces and nephews. Services are 11 a.m. today in Temple Adath Yeshurun, Rabbi Davis Sheinkopf and Cantor Harold Lerner officiating. Burial is in Adath Yeshurun Cemetery. • disciplined and active servant of his synagogue and the community. • loving husband and father. • trusted and cheerful neighbor. • trusted and loved manager of East Syracuse Chevrolet. • wise decision-maker on various boards and committees. • healer of the sick through his cheerful visits to hospital patients. • cheerful and generous giver. have come to him. his family, his neighbors, his synagogue and the people of Syracuse. 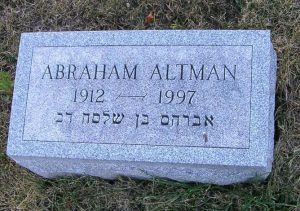 We, Abe and Anitas neighbors and friends want all Syracuse to know more about Abe Altman. so that others would be inspired to become like him.